Parthenon Grille provides a fresh, new fine dining experience that spans across cultures & generations while giving each guest a taste of big city atmosphere without leaving Murfreesboro, Tennessee. The Parthenon has been a family run restaurant for more than 32 years. Owners Angelo and Kathy Laris left Greece & moved to Murfreesboro in 1994, adopting the Parthenon Restaurant from Kathy’s parents, George and Toula. Together Angelo & Kathy bring a blend of experience, knowledge & history that encompasses three generations of restaurateurs. George & Toula first entered the restaurant business in Tennessee in 1973. Her father, George, was a vintner in Nemea, Greece, home to some of the most famous wineries in Europe. Kathy’s parents inspired her love & knowledge of wine and traditional Greek cuisine, which she shares with each guest who graces the doors of the Parthenon Grille through our extensive wine & menu selections. Kathy’s husband, Angelo, is an acclaimed chef who studied the culinary arts in Greece, Germany & France. He also owned & operated two highly accredited restaurants in Athens, Greece for 15 years before he & Kathy adopted the Parthenon. 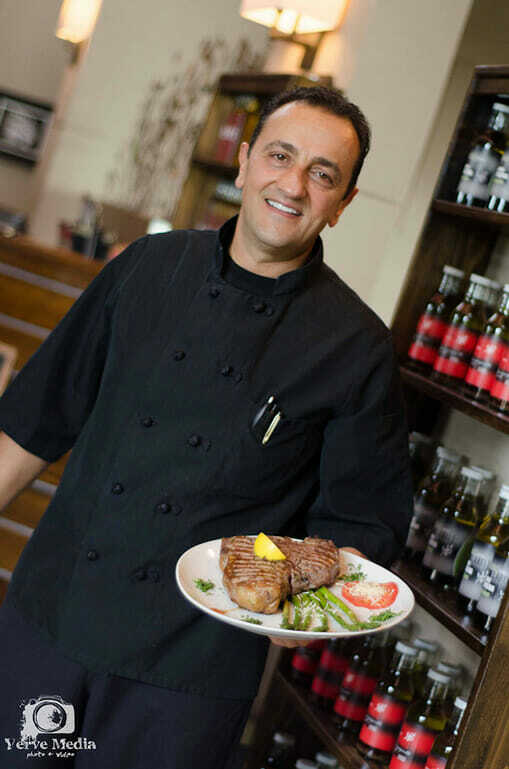 The Parthenon Grille family is delighted to serve you. 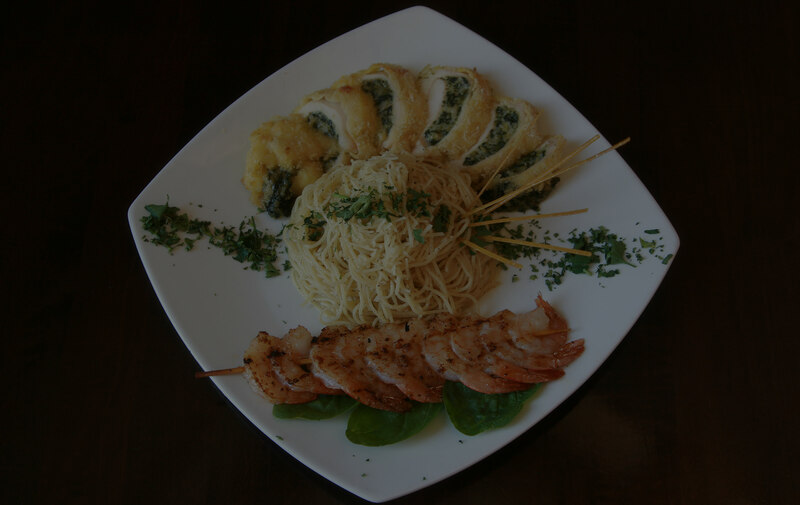 We have selected a variety of dishes each that is freshly prepared upon order. We serve only the best quality steaks & seafood that we compliment with a variety of our own special homemade sauces. Our pastas, veal & poultry are prepared with only the finest quality produce & tender meats as well. Kathy’s parents passed on a copious amount of knowledge about Greek cuisine & many multi-generational receipts that bring a fresh, yet traditional, selection of Greek entrees to our menu. Wino Monday. All wine by the bottle 1\2 off. Ahi tuna with avocados, cusabi & served with Crostini. Jumbo shrimp cooked, peeled, divined & chilled. served with our zesty cocktail & lemon (excluded on any offer). Fresh Gulf oysters served on the half shell. Tzatziki, tyrokafteri spicy feta dip, hummus, sliced cucumbers & grilled pita. Smoked salmon, capers, onions, & EVOO with mascarpone cheese & grilled pita bread. (GREEK RIBS) Marinated in a Greek herbed lemon sauce & served with balsamic glaze. Grilled & topped with herbs olive oil & lemon& a touch of balsamic glaze. Excluded on any offers. Spinach & feta wrapped in crispy filo dough. Spinach, onions, tomatoes, mushrooms, feta, & cream. Served with fried pita. Served with a creamy horseradish. Fresh Gulf oysters baked with spinach, cream, & parmesan. Served on a bed of marinara. Served with a roasted red pepper aioli sauce. Served with our jalapeno bacon cream sauce. Shredded romaine lettuce tossed with dill, Feta, green onions, EVOO & a red wine vinaigrette. surrounded by sliced apple, and avocado. Layers of sliced tomatoes, fresh mozzarella, & basil. Drizzled with balsamic vinegar & EVOO. Fresh kale steamed & topped with goat cheese, strawberries, olive oil & balsamic vinegar. 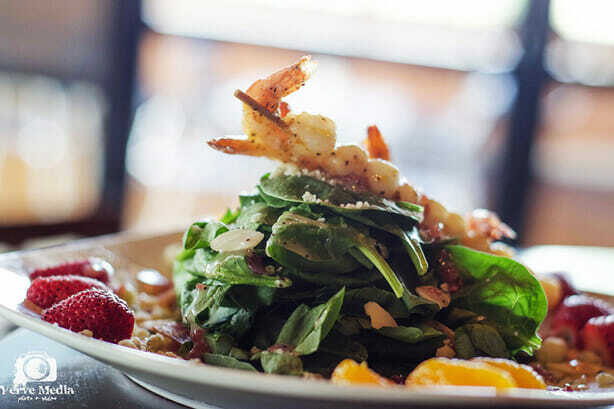 With spinach, gorgonzola crumbles, bacon, red onions, toasted almonds, mandarins & a cranberry citrus vinaigrette. An Iceberg wedge topped with gorgonzola crumbles, bacon, & tomatoes. Served with a creamy gorgonzola dressing. Gyro meat thinly sliced & served with tomatoes, tzatziki, & pita bread. Accompanied with a small portion of our Greek salad. Shrimp & scallops breaded with parmesan & bread crumbs. Pan-seared & gently tossed in roasted garlic aioli with mushrooms, fresh basil, & linguini. One of Mykonos traditions that has been passed down from generation to generation. Pan seared Shrimp, mussels, & scallops. Sautéed with sweet Vidalia onion wheels, fresh parsley, & linguini. Then just as the chef pulls it off the flame he puts white wine & a touch of cream. Stuffed with parmesan spinach, lightly breaded, & topped with a Grey Goose Vodka cream sauce. Served with oil & garlic pasta. Marinated Chicken Breast grilled to perfection. Served with your choice of one side. Top with any "Off the GriLLe Finishing Touch." Fresh Red Snapper breaded & stuffed with parmesan spinach. Baked & finished with Grey Goose vodka cream sauce. Fresh Mahi-Mahi Lightly blackened & topped with our sweet & spicy Mango Coulis sauce. Mahi-Mahi topped with sundried tomato pesto, black olives, feta, & diced tomatoes. Fresh wild caught Salmon seasoned with our chefs seafood spices & broiled with a splash of Chardonnay. Fresh Sea Bass baked with Greek spices & topped with shrimp in a lemon butter sauce. All of our Beef is Certified Black Angus. Served with your choice of a side. An 8oz. Lamb burger topped with sautéed spinach, oil & garlic mushrooms, & feta. Completed with tzatziki. 3 mini pitas topped with Freshly carved rotisserie styled gyro meat topped with tomatoes, onions, a dollop of tzatziki sauce, and a touch of parsley. 3 mini pitas topped with chicken with olive oil, oregano & lemon. Topped with tomatoes, onions, a dollop of tzatziki sauce, and a touch of parsley. Ahi Tuna served with avocado, cucumber, & spring mix in whole wheat wrap. 8oz. sirloin burger topped with melted aged cheddar, lettuce, onion, & tomato. 12 years & under please. Served with fries or broccoli. (excludes pasta and pizza). Includes soda or tea. All of our Beef is Certified Angus. Served with your choice of a side. The most tender beef cut. Lean yet succulent & elegant. Melt in your mouth texture, subtle flavor & compact shape. This bone in steak is rich, tender, juicy with generous marbling throughout. A lean, tender cut of Certified Angus beef with a slight marbling. A large portion of filet & a Manhattan strip steak. The perfect combination to share. Lean yet succulent elegant cut of CAB black angus beef with a buttery texture. Dry Aged Ribeye, slow-roasted for 8 hours, & coated with Chef blend of spices. Baseball cut, top sirloin steak. Slight marbling & flavorful. A lean, tender cut of black angus beef with slight marbling. Shrimp sautéed with a scampi sauce. Sautéed with garlic, parsley, salt & pepper. Gorgonzola baked atop the steak on the grill and then drizzled with balsamic glaze. Jalapeno, bacon, in a decadent cream sauce. Goat Cheese baked atop the steak on the grill and then drizzled with a honey & mustard glaze. 6oz tender filet & served with a Maine lobster tail. The best of both worlds. 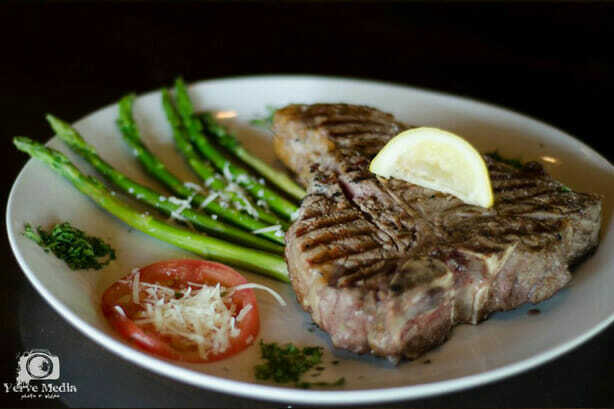 A large, bone-in Porterhouse served with two lobster tails, choice of two sides, & two salads or soups. 6oz sirloin topped with gorgonzola cheese, drizzled with our sweet balsamic reduction, & served with blackened grilled shrimp. Slow-roasted 8oz prime rib served with bacon wrapped sea scallops & jalapeño bacon cream sauce. Filet layered with tomato, basil, & fresh mozzarella drizzled with a balsamic reduction. Served with grilled shrimp. Chops lightly marinated in an array of Greek spices, grilled to your preference, & served with mint jelly. Chopped lamb topped with sautéed spinach, mushrooms, & feta. Served with tzatziki. Marinated beef tenderloin topped with shrimp in scampi sauce. Thin slices of veal sautéed with shrimp in a lemon cream sauce. broiled with butter, a splash of pinot Grigio & our special blend of seafood spices. Grilled with butter, a splash of pinot Grigio & our special blend of seafood spices. Grilled & topped with herbs olive oil & lemon & a touch of balsamic glaze. Romaine lettuce topped with cucumber, tomato, green peppers, onion, feta, Kalamata olives, dill, peppercini pepper & an anchovy. Topped with Greek vinaigrette. Romaine lettuce tossed with homemade croutons, Caesar dressing & topped with parmesan cheese. Iceberg wedge, gorgonzola crumbles, bacon, & tomatoes. Served with a creamy gorgonzola dressing. Mixed greens with cucumber, tomato, red onions, garbanzo beans, carrots & our homemade croutons. With your choice of dressing. * COOKED TO ORDER. CONSUMING RAW OR UNDERCOOKED MEATS, POULTRY, SEAFOOD. SHELLFISH, OR EGGS MAY INCREASE YOUR RISK OF FOODBORNE ILLNESS, ESPECIALLY IF YOU HAVE CERTAIN MEDICAL CONDITIONS. BURGERS AND CHOP STEAKS ARE COOKED MEDIUM & ABOVE (155) . Gratuity of 18% will be added to parties of 7 or more. A 20% gratuity will be added to parties of 15 or more. 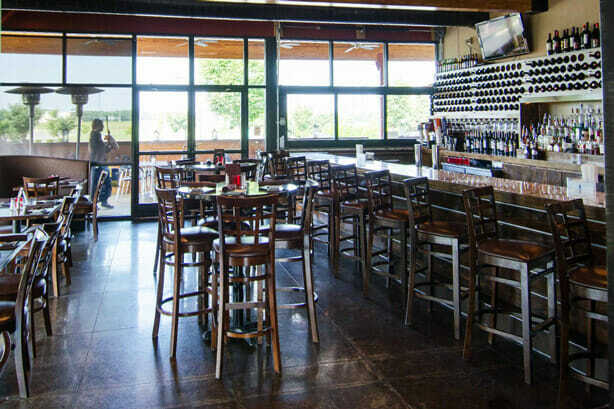 Parthenon Grille is the premier lunch & dinner party venue in Murfreesboro, Tennessee. With five different sized dining rooms, we are happy to accommodate small & large parties of up to one hundred & thirty people for any budget. We here at Parthenon Grille would be privileged to help make your event a memorable & wonderful one. We accept reservations & also walk-in’s. For your reservation needs for Parthenon Grille please call (615)895-2665. 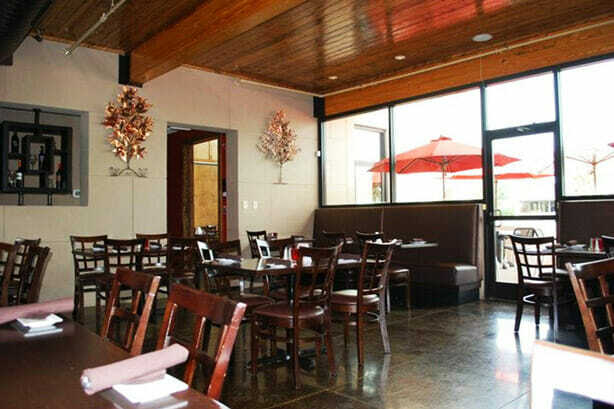 Parthenon Grille is the premier Lunch & Dinner party venue in Murfreesboro, Tennessee. We can accommodate private events with a variety of private rooms. Our event coordinator Kathy Laris would be happy to help you plan your next event with us. Call us at (615)895-2665 or email us at parthenongrille@gmail.com to make a reservation.